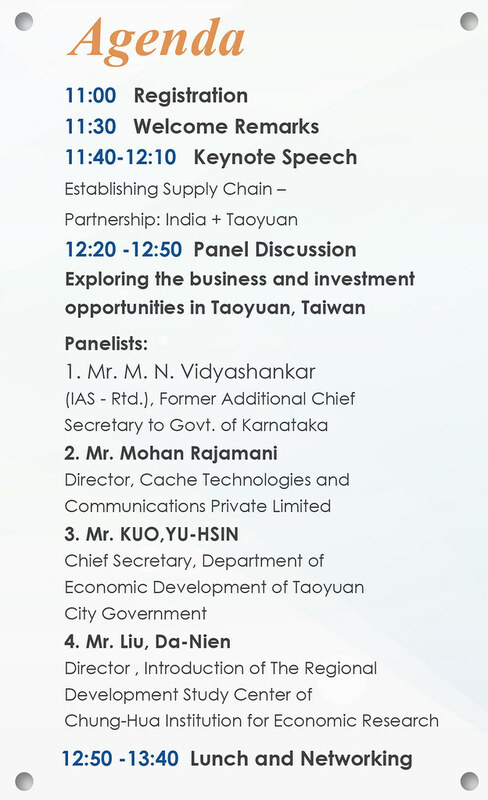 TAITRA and World Trade Center, Bangalore, cordially invites you to join our seminar introducing business and investment opportunities in Taoyuan, Taiwan. Come to know more about the business opportunities by registering online now. Taipei World Trade Center, Chennai.